Histone demethylase that specifically demethylates 'Lys-4' of histone H3, thereby playing a central role in histone code. Does not demethylate histone H3 'Lys-9', H3 'Lys-27', H3 'Lys-36', H3 'Lys-79' or H4 'Lys-20'. Demethylates trimethylated and dimethylated but not monomethylated H3 'Lys-4'. May stimulate transcription mediated by nuclear receptors. May be involved in transcriptional regulation of Hox proteins during cell differentiation. 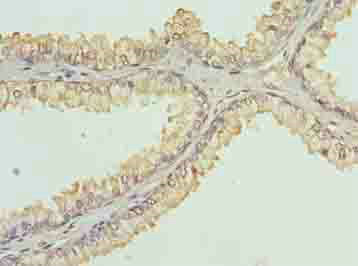 May participate in transcriptional repression of cytokines such as CXCL12. 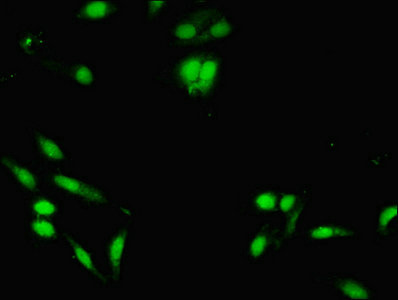 KDM5A Polyclonal Antibody. Unconjugated. Raised in: Rabbit.